Contact The Fleet Half Marathon with any questions, sponsorship enquiries. 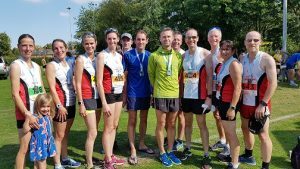 For information about race entry, numbers, arrangements for race day, please check the on-line event info page first as your questions may be answered there before contacting us. Due to the large number of e-mails received, we cannot respond to e-mails where the answer is already available on-line. Copyright © 2019 Fleet Half Marathon. Powered by WordPress. Theme: Spacious by ThemeGrill.